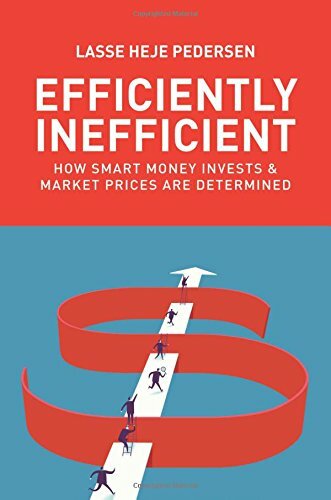 Efficiently Inefficient describes the key trading strategies used by hedge funds and demystifies the secret world of active investing. Leading financial economist Lasse Heje Pedersen combines the latest research with real-world examples and interviews with top hedge fund managers to show how certain trading strategies make money―and why they sometimes don't. Pedersen views markets as neither perfectly efficient nor completely inefficient. Rather, they are inefficient enough that money managers can be compensated for their costs through the profits of their trading strategies and efficient enough that the profits after costs do not encourage additional active investing. Understanding how to trade in this efficiently inefficient market provides a new, engaging way to learn finance. Pedersen analyzes how the market price of stocks and bonds can differ from the model price, leading to new perspectives on the relationship between trading results and finance theory. He explores several different areas in depth―fundamental tools for investment management, equity strategies, macro strategies, and arbitrage strategies―and he looks at such diverse topics as portfolio choice, risk management, equity valuation, and yield curve logic. The book’s strategies are illuminated further by interviews with leading hedge fund managers: Lee Ainslie, Cliff Asness, Jim Chanos, Ken Griffin, David Harding, John Paulson, Myron Scholes, and George Soros.